If you're still thinking of buying Samsung's newest S Pen-wielding flagship handset, it might be a good idea to wait for the release of the company's next hero device without a stylus. 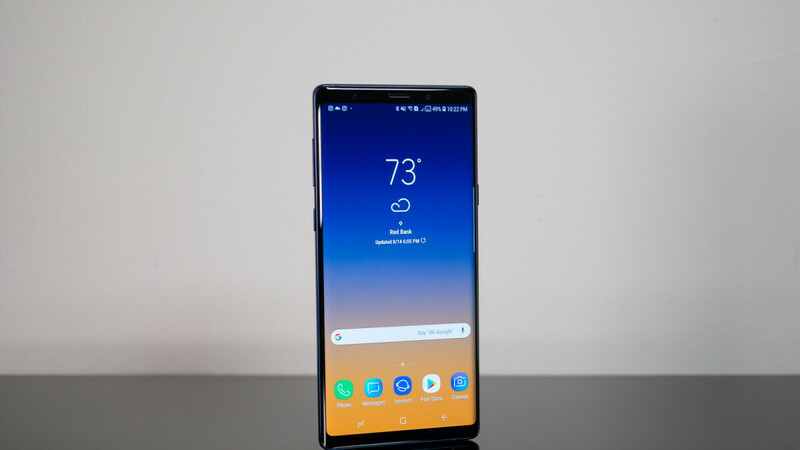 That's because it's going to be hard for the Galaxy Note 9 to maintain its $999 and up list price when the Galaxy S10+ is expected to start around the same mark with a faster processor, an overhauled design, a grand total of five cameras, and other important upgrades. But if you're also looking for a tablet, there's an Amazon "Deal of the Day" you might be interested in right now. For 24 hours only, the e-commerce giant is selling the unlocked Galaxy Note 9 in 128 and 512GB variants alongside a complimentary Galaxy Tab A. There are no catches or strings attached to this fairly attractive promotion, although bargain hunters are unlikely to jump at the chance to cough up the full retail price of a Note 9. On the bright side, if you don't mind spending a small fortune on a version of the 6.4-inch powerhouse capable of accommodating 512 gigs of data internally and packing a whopping 8 gigs of RAM, you can save an extra 200 bucks. That brings the combined discount up to around $430, but obviously, the 512GB Galaxy Note 9 configuration is also frequently marked down on its own. Nevertheless, this is a solid bundle deal for one of the world's best high-end smartphones released during the second half of 2018 and a respectable 10.5-inch slate that saw daylight recently as well with Android 8.1 Oreo software, a middling Snapdragon 450 SoC, 3GB RAM, 32GB storage space, four powerful speakers boasting Dolby Atmos surround sound, a relatively large battery, fast charging support, and a headphone jack. This is certainly no iPad Pro killer, but it can be a decent alternative for Apple's 2018-released 9.7-inch iPad.